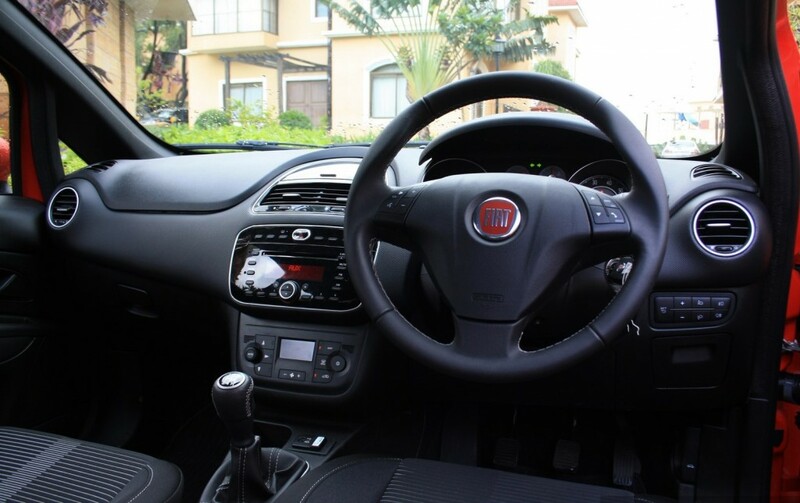 The Italian automaker, Fiat has finally launched its Punto Evo with grandiose outer and delightful interior. The “Evo” word comes for the “Evolution” that means, the car receives some changes at its front and rear sections as regard to its chronic models. This brand new model is engineered with the best appliances and furnishes the heavenly elegance for its occupants. Here, we have given the overall specifications of the carriage for those people, who want to buy it. The engineers have wonderfully designed this car that can pull in masses at the first glance. It comes with the width of 1687mm, height of 1525mm, length of 3989mm and the ground clearance of 195mm, which gives the huge look for the runabout. On the other hand, the motor includes the adjustable headlights, power antenna and at the rear it has fog lights. The roadster is coupled with wheel covers and chrome grille that improves the quality of its exterior. 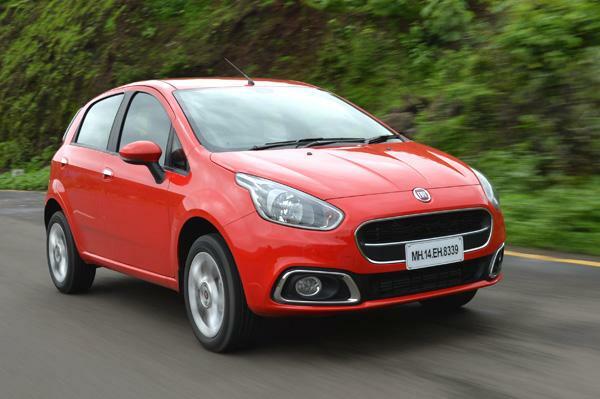 Fiat has updated its Punto Evo by changing and modifying some qualities with respect to the older model. The organization has also improves the features for its interior, which delivers the great pleasant for the customers. It incorporates with the renovated air conditioner and digital odometer. The motor also adds the evolved fabric upholstery, adjustable steering column, heater, digital clock and tachometer. 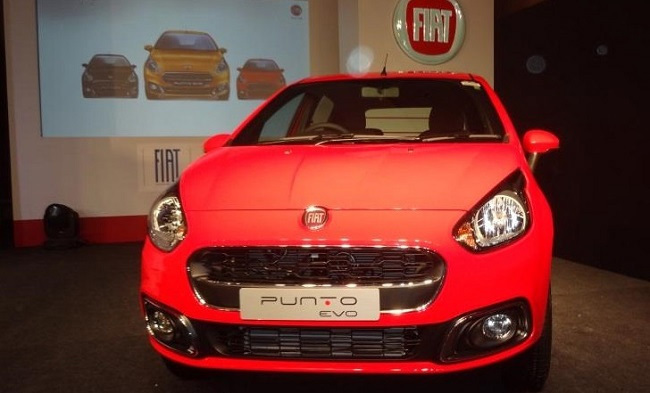 The Punto Evo comes with two engine options for petrol and diesel. The 1.2 litre 4-Cylinder FIRE petrol engine gives the maximum power of 67.1 bhp at 6000 rpm and the torque of 96 Nm at 2500 rpm. The carriage produces the splendid fuel economy of 12.3 km/l in the urban condition and on the main road it comprises the maximum mileage of 15.8 km/l. 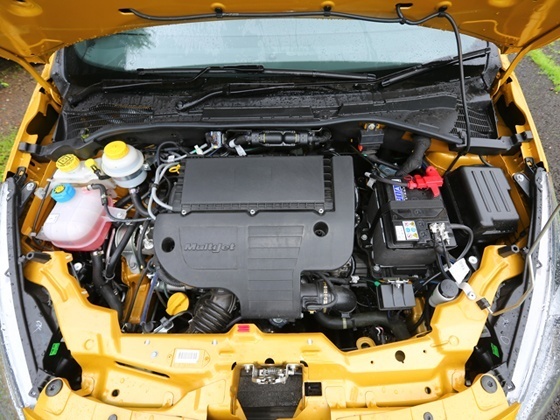 The diesel engine is 1.3 litre, produces the maximum output of 75 bhp at 4000 rpm with the torque of 197 Nm at 1750 rpm. The motor renders the mileage of 18.0 km/l in the city and 21.2 km/l on the highway. The company has made this car to facilitates better securities for its clients and protect them from collision. The carriage has engineered with the central locking, halogen headlamps, door ajar warning, engine immobilizer, power door locks. It also comes with the rear seat belts and adjustable seats, which unified the highest level of safety for adults and children. The car is priced differently for its petrol and diesel engines. 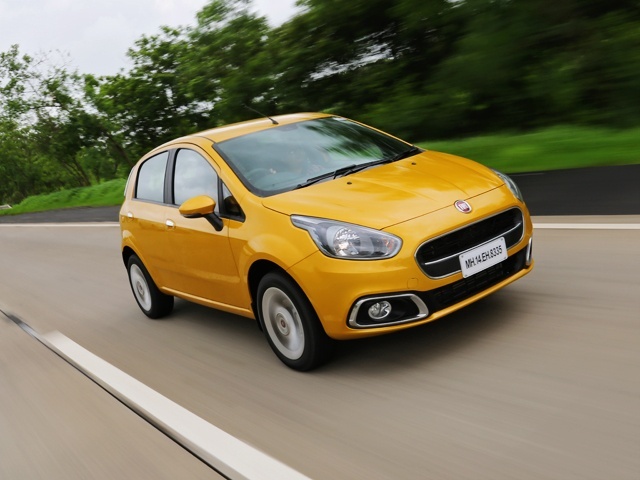 The 1.2 litre Punto Evo Active approximately priced at INR 4.56 Lakhs and the 1.3 litre Punto Evo Active Multijet is available at the approximate price of INR 5.27 Lakhs. Both versions are present in the attractive color variants for Black, Gold, Grey and Red. The Italian company has designed this car amazingly, which includes the descent outlook it also comes with the royal interior with five seating capacity. This runabout is the refreshed version of the existing one that has come in the market to deliver the all pleasant and safety for the customer and these all features are available at the cheapest range.